This annual event brings together the best and brightest from the fields of New Product Development, Innovation, and Design, to present attendees with an unmatched knowledge-packed experience over the course of two days, in beautiful Orlando, Florida, November 2 - 5, 2019 at the Hilton Bonnet Creek. With Disney® close by, we are excited to focus this year’s theme on Design, one of the four D’s of New Product Development — Define, Design, Develop & Deploy. 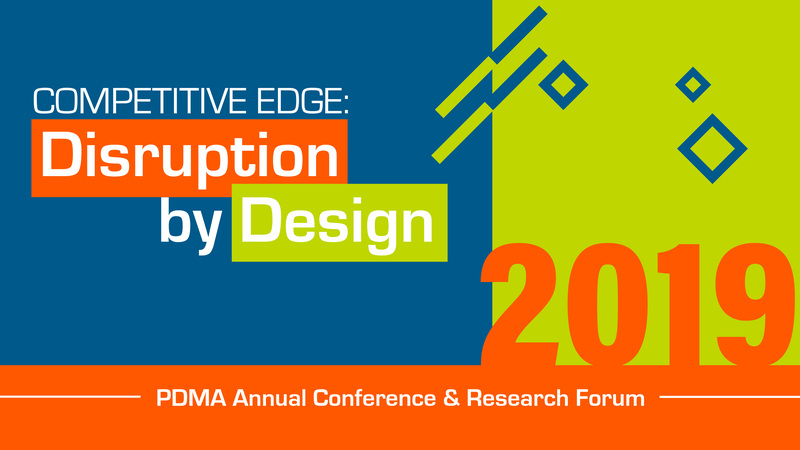 Competitive Edge: Disruption by Design Conference will provide insights into how Design integrates and weaves through the full continuum of New Product Development in four powerful and engaging tracks covering Business-to-Business, Services, Software, and Consumer Products. If you sign up today with a $75.00 deposit you will automatically lock in the lowest price for admission* to the 2019 event. Deadline to submit a speaker proposal is March 31, 2019.